Wide awake at 5am as Nick finally decides to get out of bed and walk around. We’ve been awake for hours because of intense phantom pain. 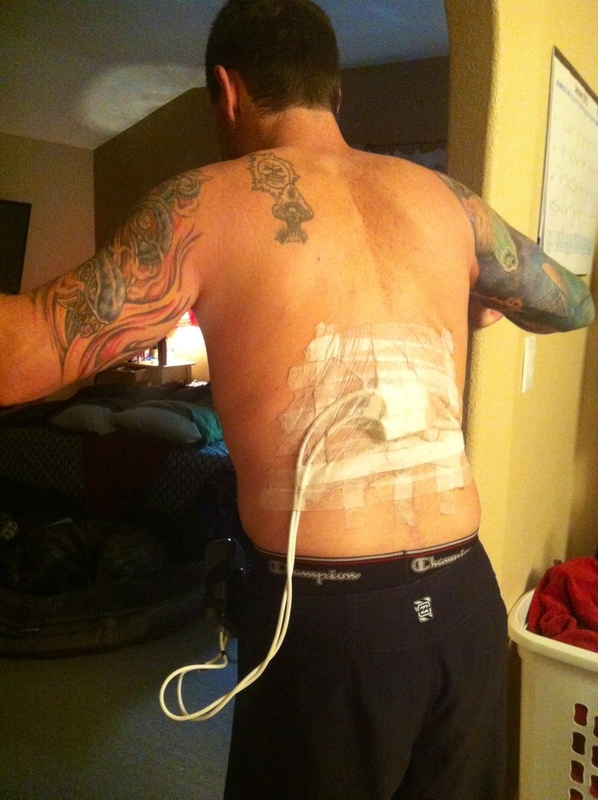 Burning, electrocuting, cramping, shocking, completely intolerable pain on a part of his body that’s not even there. I can not describe the frustration and bewilderment we’ve been experiencing because of this. Poor Nick. I don’t say that often, but when he has these random attacks I feel terrible for him. I hurt for him. It’s just like being attacked. A mental mugging leaving him emotionally battered and physically exhausted. His body wretches and tightens with every pulsing pain, making it harder and harder to relax or fall back asleep. The longer it goes on, the more the intensity compounds. It’s a dirty, dirty trick that we refuse to see the good in.